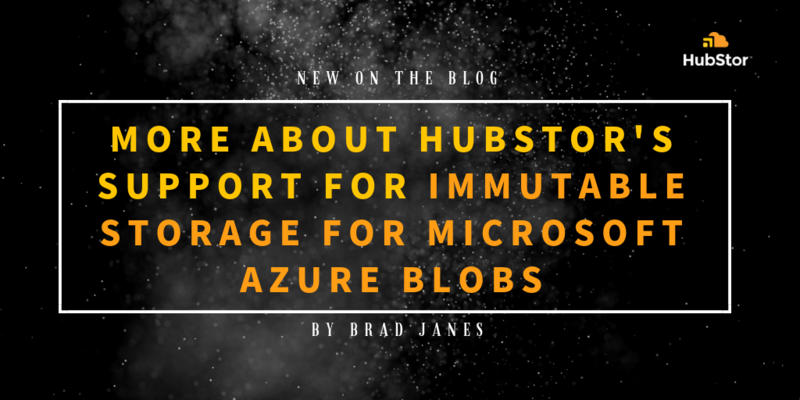 I am excited to announce that HubStor now supports Immutable Storage for Microsoft Azure Blobs which recently became generally available. Here is a link to HubStor's announcement and a link to Microsoft's announcement. This new cloud storage feature delivers secure retention of data in a non-erasable and non-modifiable format. Write-Once-Read-Many (WORM) storage is an essential competence for customers in financial services or other regulated industries because of strict regulatory compliance requirements for certain types of data -- client communications, trades, advertising, accounting records, project data -- to reside in a tamper-proof state for a specified retention period. Azure is an ideal platform for satisfying compliance storage requirements because it provides the convenience and agility of the cloud with enterprise-grade security and compliance. HubStor’s cloud data management platform delivers WORM storage features that work alongside Immutable Storage for Azure Blobs to deliver industry-leading compliance and data retention controls. HubStor is used today by many European and American clients to meet legal and regulatory requirements for tamper-proof storage. Many of these clients use it for SEC/FINRA and Mifid II compliance. Now integrated, HubStor and Immutable Storage for Azure Blobs work together to enhance the compliance posture of our customers further where Azure and HubStor both enforce immutability of data. HubStor’s data management layer simplifies your ability to manage retention, audit records and activity, respond to exams and investigations, and facilitate the secure access of auditors and designated third parties. 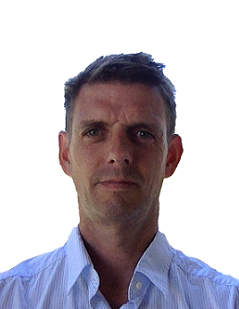 Going beyond compliance use cases, storage immutability is a great feature for data protection. With modern threats to data security such as ransomware and rogue insiders, IT leaders increasingly see tamper-proof storage as an essential feature in their data protection strategy. If you wish to see discuss or see a demo of these new features, please let us know.